From the Manufacturer From the Manufacturer With USB ports popping up everywhere you look, you need a simple and reliable way to store and share your photos, videos and music on the fly. The SanDisk Cruzer Blade USB Flash Drive is your answer. Because it works with virtually any computer or electronic device with a USB slot, this flash drive lets you leave your laptop at home but still take your vast amounts of content with you to share with family and friends. Whether you need to transport your latest MP3 downloads, vacation videos, or your college thesis, the SanDisk Cruzer USB Flash drive offers portable storage that you can trust. Convenient Storage and Portability With USB ports on computers, to new ports popping up on cars, DVD players, TVs, photo frames, and more, the need for a fast and reliable way to share your digital content on a moment's notice is greater than ever. The SanDisk® Cruzer® USB Flash drive meets that need. This reliable flash drive fits in the palm of your hand and gives you the storage capacity you need to store and transfer up to 16 GB of data. While the drive is optimized for laptops and devices with USB 2.0 port, it is backwards compatible with older devices that have USB 1.1 ports, so you can be assured of near universal compatibility. 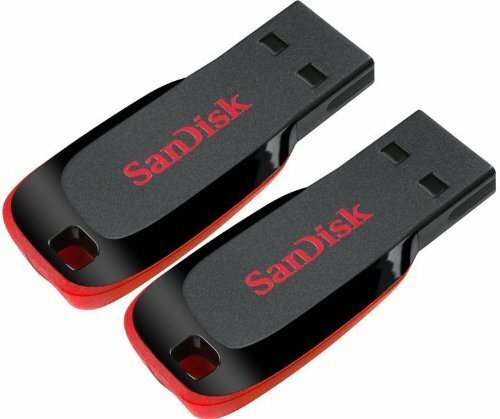 View Videos Without Extra Software or Setup With the SanDisk Cruzer USB Flash drive, you can transfer your favorite video from one device to another easily and conveniently, without any additional software or setup. The drive offers drag-and-drop convenience, which means you can simply drag the files from your device onto your SanDisk Cruzer Flash drive, or vice versa, without any steps. Transferring video files from computer to computer, or from your drive to a USB-enabled DVD player, is incredibly simple. Drag your video files from your PC to your USB flash drive and then plug the drive into your DVD player -- or even your USB-enabled TV -- and sit back to enjoy the show.